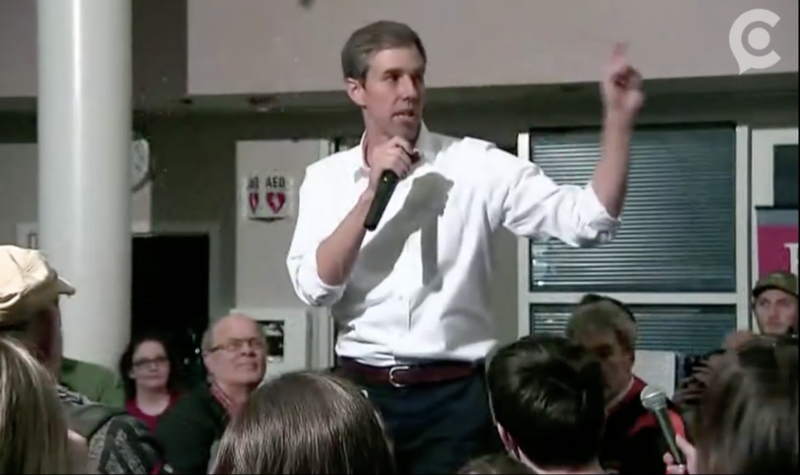 The federal government should end the prohibition of marijuana and prosecute pharmaceutical executives who recklessly marketed addictive opioid painkillers, Beto O’Rourke argued at a rally in New Hampshire on Tuesday. The 2020 Democratic presidential candidate received enthusiastic applause in response to the pitch from the crowd in the early primary state, which has been hard hit by the opioid crisis. “We’re going to acknowledge an incredibly warped system of justice in this country,” the former congressman said, singling out Purdue Pharma, the maker of OxyContin, over its products’ role in the addiction problem. The candidate expanded on the unfairness, noting that rates of cannabis use are roughly the same for different races but “only some are more likely than others to be arrested, to serve time, to upon release be forced to check a box” rendering them ineligible for student loans and making it more difficult to secure employment. There were signs that drug reform would be a main feature of O’Rourke’s campaign in the weeks leading up to his announcement, and he’s quickly confirmed that suspicion on the trail. He sent out an email blast about marijuana reform before declaring his bid and he discussed ending cannabis prohibition on the day of his announcement. But contrasting the unchecked malfeasance of the pharmaceutical industry with the aggressive enforcement of cannabis laws represents an evolution in O’Rourke’s messaging on the issue. It’s not dissimilar to a talking point often heard at rallies for Sen. Bernie Sanders (I-VT), who frequently talks about the injustice of failing to prosecute Wall Street executives for their role in the 2008 financial crisis while locking up individuals for non-violent marijuana offenses. Sen. Kirsten Gillibrand (D-NY), another 2020 Democratic presidential candidate, has also criticized the pharmaceutical industry for misleading prescribers about the risks of potent opioid painkillers while opposing marijuana reform. Another contender for the Democratic nomination, Rep. Tulsi Gabbard (D-HI), has also been critical of the pharmaceutical industry while supporting cannabis legalization.